The 10 day trek through many pristine lakes of Bhutan is a natural discovery in its own right. 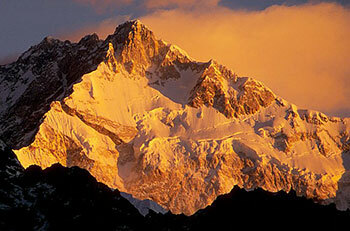 The trek continues and brings with its stunning natural beauty in the form of Himalayan scenery. 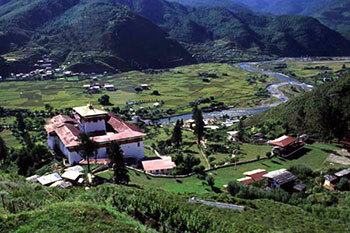 Enroute, one can also enjoy the enriched Bhutanese culture while crossing traditional villages. In all, a perfect opportunity for those who wish to explore the shrouded culture of Bhutan while participating in Dagala 1000 lakes trekking tour. After clearing immigration and customs, meet Destinations Beyond India representative for assisted transfers to Bhutan’s capital Thimphu. The drive from Paro to Thimphu in itself is a magical joyride. 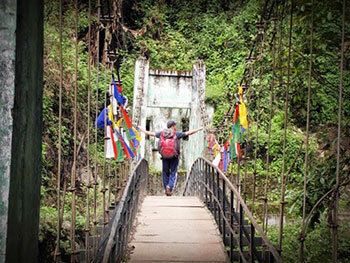 The scenery glides through turns and offers tourists an interesting view of the last Buddhist kingdom, Bhutan and its traditionally built houses and buildings. Day 2: Thimphu – Geynekha – Gur (7 kms / 5 hours). Whilst trekking across the ridges one enjoys the beauty of the rugged mountain vegetation. The path winds through flowers and wild asparagus (in spring) and the meadows are refreshing and inspiring. The first pass symbolised by a huge cairn gives a spectacular view of Kanchenjunga (Sikkim) and most of the Bhutanese Himalayan peaks. Descending from the pass one will view the whole Dagala range, meadows and Yak herders camp. Once descended into the Labatama valley you ascend gradually through the valley passing some Yak herder huts till you reach Utsho Tsho. The campsite is right next to the lake, where plenty of golden trout flourish. (4300m). Overnight Tented Campsite. Enjoy a day at leisure relaxing and exploring Labatama valley. For the energetic choose from a range of day excursions to either Relitsho, Hentsho or Jametsho Lake. Camp at Labatama (4300m) Overnight Tented Campsite. The trail climbs along the western side of Dala Tsho up to a saddle at (4520m) from where you have again a majestic view of the prominent Himalayan peaks such as Everest, Kanchenjunga, Masang Gang, Gangchhenta, Tsenda Gang and Jichu Drake. If you want an even better view you can climb to a peak close to the saddle with an altitude of 4720m. From the saddle the path descends, passing some Yak herder huts to Doccha Chuu. You follow the river for a while, staying higher up on the slope until you reach Panka. On this route Himalayan Monal Pheasants are a common sight. Camp at Panka (4,000m). Overnight Tented Campsite. This day entails the crossing of several passes, none of them affording a major climb, and often with an abundance of mountain birds. After crossing the last pass, Tale La (4180m) you start a long descent to Tsheregang. You will camp at Tsheregang (3080m). One also has a great view of Bhutan’s capital, Thimphu from here. Overnight Tented Campsite. From the monastery it is a short hike down to the feeder road with will lead you to the Village of Chamgang. Day 8: Activities in the Paro Valley. Day 9: Sightseeing in the Paro Valley. Tigers Nest clings impossibly to a cliff of rock at 3000 ft above the valley floor and where Guru Rinpoche flew on the back of a tigress to subdue the local demons followed by 3 months meditation in a cave still visible in the monastery. In 1998 the monastery was seriously damaged by fire and has since been painstakingly reconstructed to its original condition and consecrated by the 4th King in 2005. Early morning departure from the Zhiwa Ling Resort hotel to Paro Airport for your onward flight.